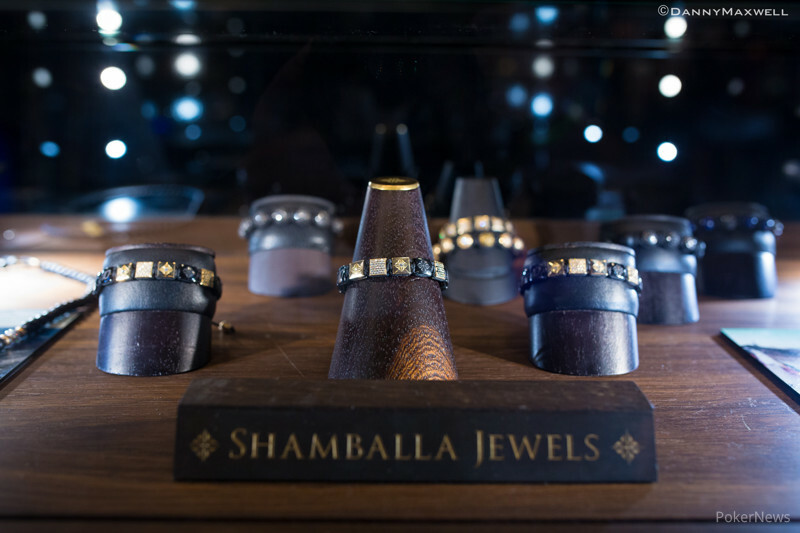 The first event of the European Poker Tour Season 10 – the €50,000 Super High Roller at the EPT Barcelona – concluded on Sunday as Vitaly Lunkin topped the 51-entry field to win €771,300, a Shamballa bracelet and the season’s first major title. The day began as eight players returned for final table action, but one of them would leave empty handed as only seven spots would be paid. Along with Lunkin, the final table included chip leader Ole Schemion, Timothy Adams, Steve O'Dwyer, Mike McDonald, Erik Seidel, Fabian Quoss and David Benefield. The bubble burst a little more than halfway into Level 19 when Adams, who began the day on the short stack, shoved for his last 665,000 from the hijack. He ended up running into Seidel, who sent him packing as the bubble boy. You can read about that hand by clicking here. Just a couple hands later, McDonald opened with a raise from middle position to 125,000 and Quoss moved all in over the top for 1,030,000 from the cutoff. Action folded back around to McDonald and he called. McDonald was in the dominant position but the flop proved to be interesting for both players with , giving McDonald top pair but Quoss flush outs to stay alive. The turn made things even more interesting with the giving Quoss additional outs to make a Broadway straight on the river. In the end, though, nothing materialized for Quoss as the completed the board and he was eliminated in seventh place. Quoss took home €128,515 for his efforts. After Schemion fell in sixth place, Benefield, who is a member of this year’s November Nine, fell a short time later in fifth place for €208,150, and that led to a heated four-handed battle that last until a cooler sent McDonald home in fourth place. It happened toward the end of Level 21 (50,000/100,000/10,000) when McDonald raised to 200,000 under the gun with and Lunkin called from the small blind with . O'Dwyer came along from the big blind with the and three players saw a flop of , which gave McDonald trips against Lunkin's full house. There were two checks over to McDonald who put out a continuation bet of 250,000. Lunkin slid out a check-raise to 750,000 and O'Dwyer mucked his hand. McDonald thought for a moment and then flatted to see a turn. Fourth street was the and Lunkin came out swinging with a bet of 1,000,000. Timex responded by shipping all in over the top for 1.95 million and Lunkin snapped him off. McDonald was left looking to make a bigger full house on the river but it was actually Lunkin who improved with the final card as the rivered giving him quads. A dejected McDonald was eliminated in fourth place earned €269,400 for his performance. Three-handed play saw each player flirt with the chip lead, but eventually things came to a head when O'Dwyer was eliminated in Level 22 (60,000/120,000/20,000). He took home €355,100 for his third-place finish. Seidel began heads-up play with a slight chip lead, and not surprisingly it turned into a long affair. Lunkin managed to pull out to a big lead, then Seidel battled back. It was dog eat dog until Lunkin doubled with pocket kings, and then a short time later it was all over. 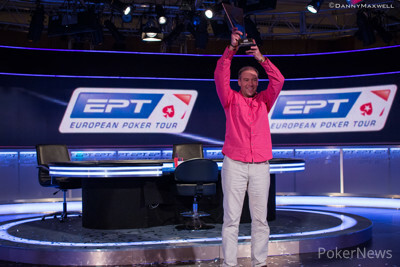 Congratulations to Vitaly Lunkin, the Season 10 EPT Barcelona €50,000 Super High Roller Champion. That does it for our coverage from this event, but you can follow our updates from the Main Event, which is happening now. 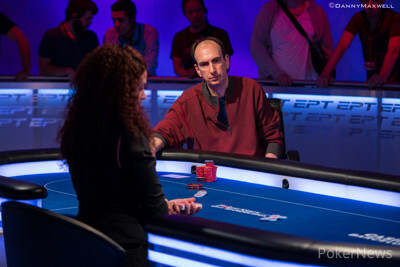 Erik Seidel peeked down at his hole cards on the button and open-shipped all in for his last 2,140,000. Vitaly Lunkin calmly stacked his new chips from the double up and waited a moment before looking at his cards. He took a glance and casually announced a call. Lunkin was leading at the moment with ace-high and he seized a death grip on the hand when the flop hit the felt. The fell on fourth street and Seidel was drawing dead heading to the river. The two competitors shook hands as the meaningless finished off the board. Seidel will take home €557,100 in second-place prize money while Lunkin has officially been crowned the EPT 10 Barcelona Super High Roller champion! Seidel was left shaking his head and watched helplessly as the board ran out . Seidel had managed to work his way up to the chip lead, but after that hand he was on the ropes once again. Erik Seidel raised to 400,000 from his button with and Vitaly Lunkin three-bet to 980,000 with . Seidel flat called and the flop came down . Lunkin continued out for 1.8 million and Seidel quickly ditched his hand. Lunkin scooped up the pot and climbed back up to 5.3 million. In the first hand of the new level, Erik Seidel raised to 400,000 from the small blind only to have Vitaly Lunkin move all in from the big. Seidel leaned back in his chair, smiled and let 30 seconds or so pass before he called off for 2.78 million. Seidel got it in good, but things got very interesting when the flop gave him two pair and Lunkin an open-ended straight draw. That said, all the excitement quickly dissipated when the turn gave Seidel a full house and left Lunkin drawing dead. The meaningless was run out on the river for good measure and Seidel was shipped the double. The remaining two players are now on an impromptu break. Cards should be back in the air shortly.